Billionaires who have made their fortunes in Silicon Valley seem to be worried about the future. 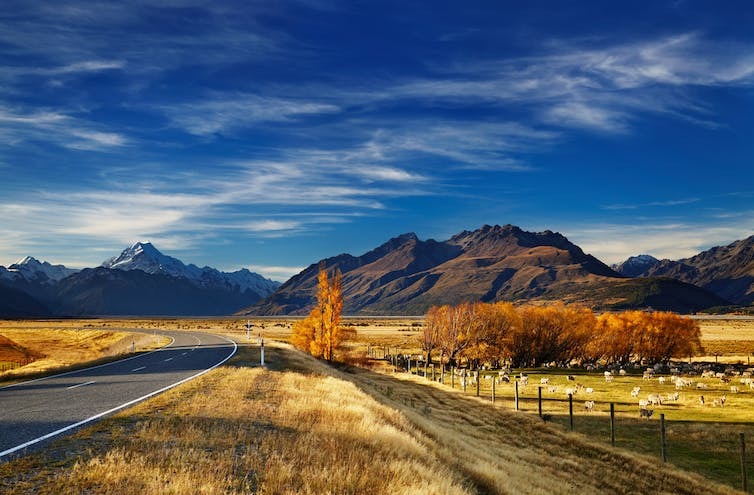 So worried in fact, that some of them are reportedly buying vast estates in places such as New Zealand, as “apocalypse insurance” boltholes to head to in the event of doomsday scenarios such as nuclear attack or global political meltdown. Ensuring your drinking water is safe so that you don’t succumb to disease in a post-apocalyptic world will be crucial. Although boiling works perfectly, it uses up a lot of fuel. Iodine tablets could be scavenged from the ruins of camping stores, and bleach (sodium hypochlorite) or even swimming pool chlorine (calcium hypochlorite) can be diluted to chemically disinfect suspect water. But even sunshine can be used to keep you safely hydrated. Solar disinfection is recommended by the World Health Organisation in developing nations. Simply fill plastic bottles and leave in the sun – the UV rays will pass right through the water to kill pathogens in a day or so. Aside from securing safe water, the single most important thing you can do to stay alive in a post-apocalyptic world without antibiotics is to stop yourself picking up infections. Soap is enormously effective at protecting against gastrointestinal and respiratory infections, and can be made by boiling animal fat or plant oil with quicklime (roasted chalk or limestone) and soda. Ethanol is effective at disinfecting wounds, and can be distilled from fermented fruit or grain. NZ – where the billionaires seek sanctuary. Shutterstock. The power grids could be out of action almost immediately – and electricity isn’t a resource you can really stockpile. You could scavenge mobile diesel generators from roadwork sites, but in the longer term as fuel becomes scarce you’ll need to turn to renewable sources such as wind or solar energy. An alternator scavenged from any abandoned car can generate electricity from improvised water wheels and windmills, which can then be stored in large rechargeable batteries. Better than the 12V car battery, the batteries in golf buggies or mobility scooters are “deep cycle”, designed to provide a steady amount of current over a long period of time, so much better suited for storing your off-grid power supply. Your post-apocalyptic community will only be able to dine out on the leftovers of a fallen civilisation for so long. Soon enough the preserved cans of food on abandoned supermarket shelves will have been consumed or gone off. And by the time that happens, you’re going to need to have redeveloped agriculture to avoid starving to death. You’ll need a starter stock of viable seeds. The Global Seed Vault on the Arctic island of Svalbard is a doomsday-proof facility dug deep into a freezing mountainside. Once all the remaining diesel and petrol fuel has gone you’ll still be able to benefit from mechanisation and vehicles. With a little modification, the internal combustion engine can be run on the flammable gases produced by the thermal breakdown of wood, a process known as “pyrolysis”. During the fuel shortages of World War II, there were more than a million wood gasifier cars driving around Europe. The “dry distillation” of wood – heating it without access to oxygen – was used from the s17th century to produce useful substances such as creosote, turpentine, methanol and acetone. The advancement of our civilisation was not just the development of machinery in the industrial revolution, but also owes a great deal to providing vital chemical substances for society. One of the most useful categories of chemical throughout history has been alkalis such as potash (potassium carbonate) and soda (sodium carbonate), used for making everything from soap to glass and paper. Potash is extracted by trickling water through the ashes of a hardwood fire and then evaporating away the water again to leave white crystals. Soda is purified in the same way, but from burned seaweed or coastal plants such as barilla or salicornia. Over the longer term, as our post-apocalyptic society recovers and grows, we’ll need to relearn knowledge for ourselves. The greatest invention of them all, what we would want to preserve if all else was lost, is the scientific method. It is only by thinking rationally and critically, observing the natural world and prodding it in particular ways with experiments, that you can have any confidence that your explanatory stories (or hypotheses) are likely to be right. The invention of the knowledge-generation machinery of science in the 16th century is what enabled us to build the modern world. And it is science that you would need to reboot civilisation again from scratch. If you have solar panels, you have energy (3). Therefore you can boil or distill water (1), and make soap (2). You do not need to store your energy, so you do not need batteries except as a luxury. You will sleep when it gets dark. See Benjamin Franklin’s take on this: http://www.webexhibits.org/daylightsaving/franklin3.html . If you have energy you can have a heated environment to grow food (4) in cooler climates. When I lived in Antarctica, a colleague grew cress in a heated enclosure outside – well, enough for one sandwich. If you have an electric car (5), you can charge it every day. Except in the polar regions there is nothing surer than that daylight will follow the night, so your solar panels will start charging at dawn. You can have LED lights run from your car battery for the luxury already mentioned. To restart your chemical industry (6) you will require more energy, so the panels will come in handy as an energy source. Of course you may use fire to provide the energy to do this, but you will need a method of starting the fire. Electrical ignition is easy when you have electricity. Certainly wise to understand the scientific method (7), but more importantly to understand how the technology mentioned above works, so you can repair it if it fails. Electric cars, for example have only a few moving parts, so are much more reliable than internal combustion engines. So I am with you on all these points – be prepared (and help the world) by buying solar panels and electric cars. I lived for 24 years on an atoll in the Pacific. This is how people survive anyway.